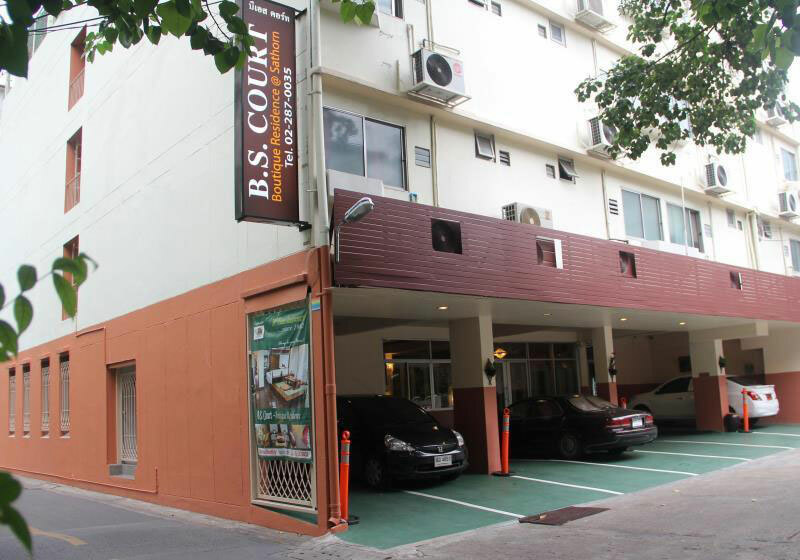 BS Court Sathorn is a budget comfort hotel and serviced apartment situated on Sathorn Road which is the heart of Bangkok business center near Silom road, dining, entertaining, shopping area, surrounding with several Embassies and Banks. BS Court Sathorn Hotel is distinguished itself by its combination of Thai and Japanese design and excellent service under the supervision of a reliable and long experienced team of Management. With its 30 units of comfortable and elegant. BS Court Sathorn Hotel & Service Apartment offers the privacy and personalized service with focusing our attention on the maximum security service. All units are luxuriously decorated and made up with living room and pantry as well as fully equipped kitchen (kitchen utensils, microwave, refrigerator, electric pot). Short Description: BS Court Sathorn is a budget comfort hotel and serviced apartment situated on Sathorn Road which is the heart of Bangkok business center near Silom road, dining, entertaining, shopping area, surrounding with several Embassies and Banks.